It may be Meghan Markle and Prince Harry‘s big day, but all eyes were on their 4-year-old nephew, Prince George, and 3-year-old niece, Princess Charlotte, as they took on the important roles of page boy and bridesmaid at the royal wedding Saturday. George and Charlotte joined eight other little bridal party members, including several of Harry and Meghan’s godchildren. 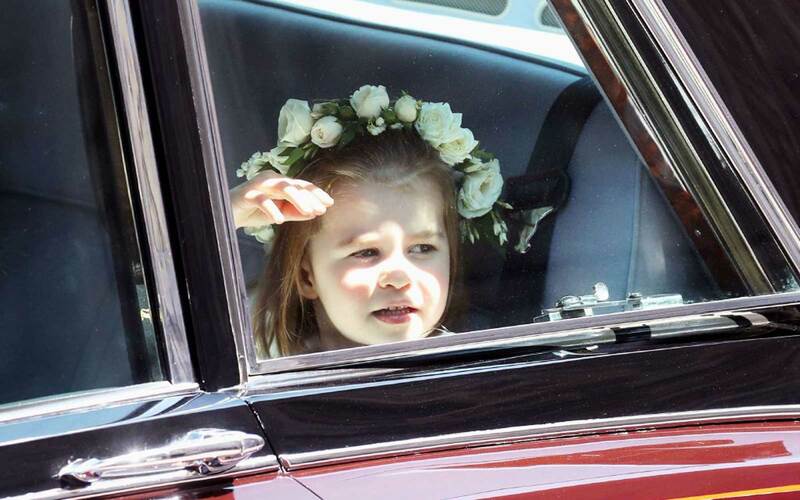 The little girls wore floral crowns and white dresses, while the boys dressed in black, mirroring Harry’s military ensemble. 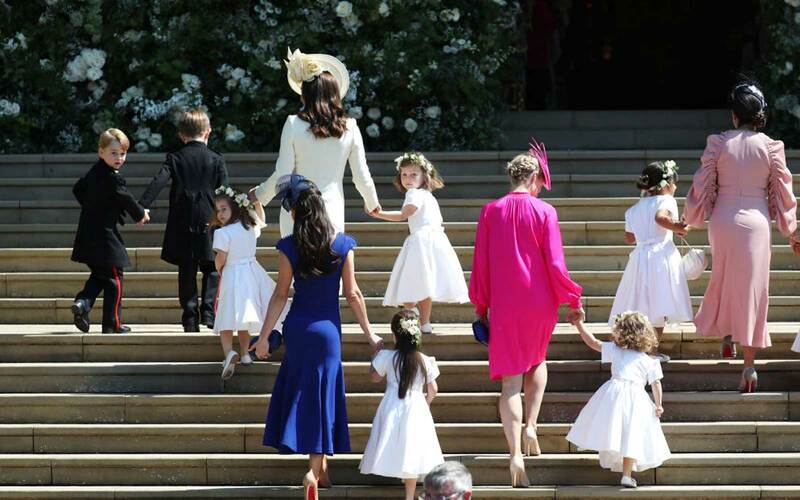 Kate Middleton helped the little ones in, holding hands with Princess Charlotte and another bridesmaid as they made their way up the stairs of St. George’s Chapel. Charlotte even reprised her over-the-shoulder wave from when she arrived at St. Mary’s Hospital on April 23 to visit her new baby brother, Prince Louis. The bridal party sweetly held hands as they proceeded down the aisle behind Meghan, escorted by Prince Charles. While Kate, Prince William and their two eldest children were part of the nuptials — William served as his brother’s best man — there was one member of their family missing: Prince Louis. The little prince, who was born April 23, remained home during the festivities. Louis’ next big appearance will be at his upcoming royal christening, which will likely occur in July. Prince George and Princess Charlotte are becoming pros as part of wedding parties. The adorable siblings joined the bridal party as a page boy and bridesmaid at aunt Pippa Middleton’s wedding to financier James Matthews in May 2017. Dressed in outfits by Pepa and Co. for Pippa’s wedding — Charlotte in a white dress with a pink sash as well as a floral headband and George in a white collared shirt and khaki pants with long white socks — the kids were photographed with Kate as they prepared to make their way down the aisle at St. Mark’s Church in Englefield. Wedding guests last year told reporters that the children were “very” well-behaved during the ceremony.